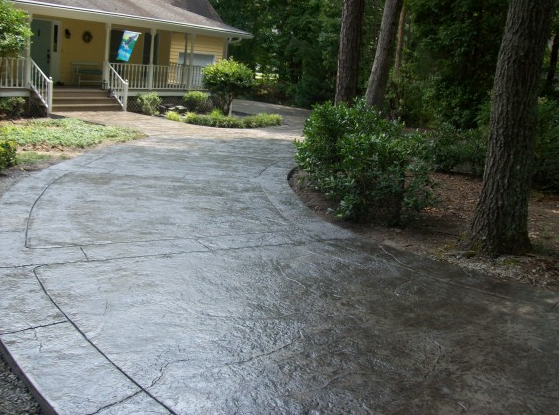 ​Concrete is durable, low maintenance, and practical for numerous applications but it is rarely thought of as an interesting or luxurious option for a driveway, pool deck, patio, flooring, or countertop. In recent years, however, concrete has regained popularity among homeowners and builders. 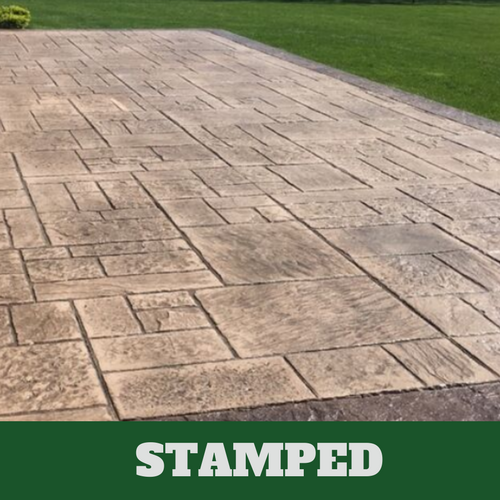 Stamped concrete can mimic the look of various types of other materials that may be more desirable in appearance, such as brick or stone, but at a much lower cost. 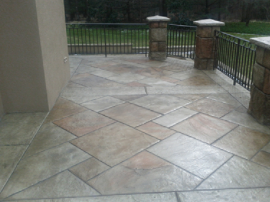 Danbury Stamped Concrete specializes in pouring and repairing concrete for interior and exterior areas. We give style and flair to boring concrete surfaces and help you achieve a unique look that complements your property. 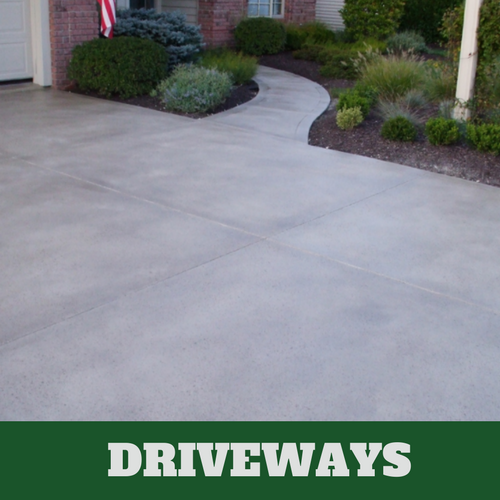 Many homeowners opt for a concrete driveway or patio purely for practical reasons such as ease of maintenance, cost effectiveness, and longevity. 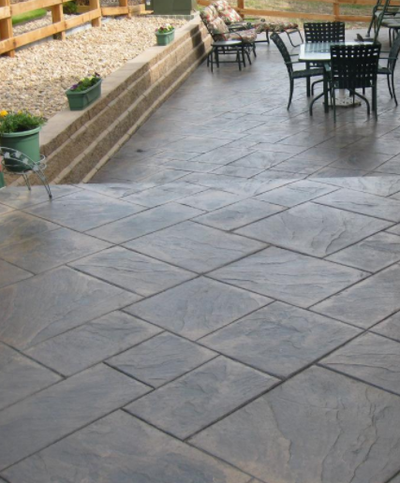 At Danbury Stamped Concrete, we don't believe that you should be forced to choose between form or function. As the premiere concrete contractor in the region, we are able to deliver both to you for an affordable price. 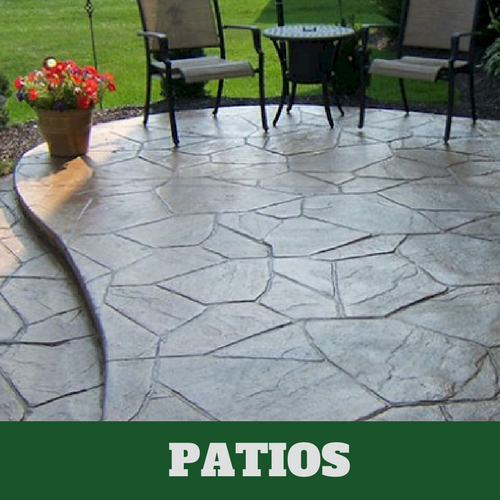 Enjoy the look of expensive luxury materials or make your home stand out with unique stamped concrete designs and finishes while benefitting from the strength and durability of concrete. 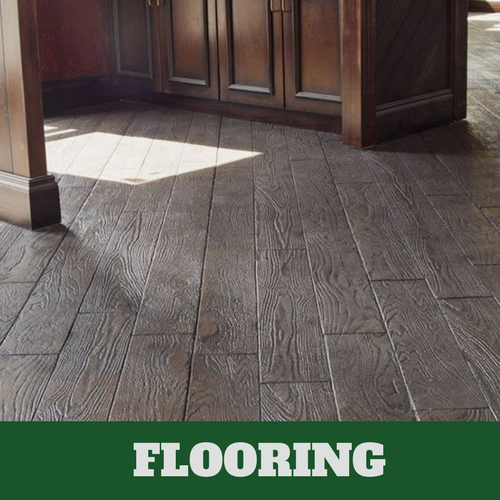 What is stamped concrete? 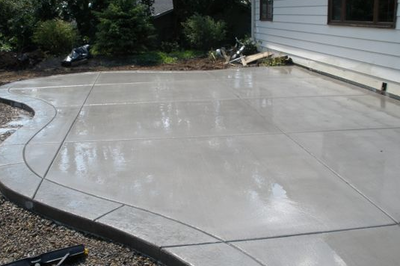 Although most homeowners are familiar with concrete or cement, many do not realize they have options in terms of the final finish of their concrete driveway or patio. 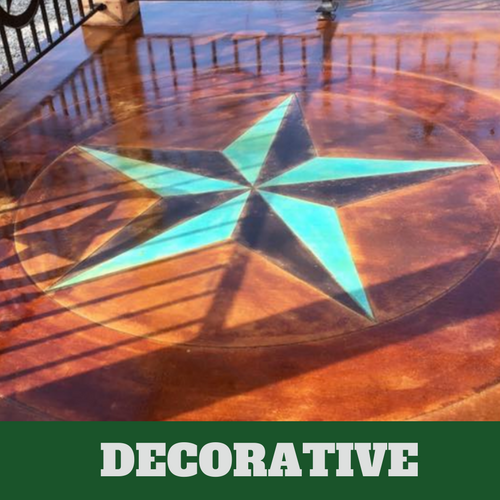 By pressing a large stamper to the cement before it is fully dried, a pattern or texture can be applied to the surface of the concrete to give it a special look. Concrete can also be dyed to help achieve the desired final look the homeowner envisions. 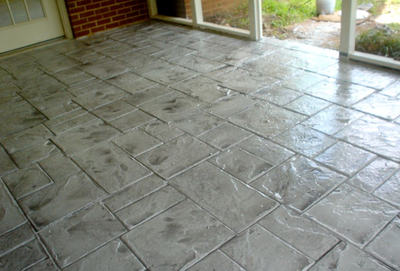 Stamped concrete can be made to appear like stone, brick, tile, or even wood. If you want a highly customized look for your home without the high custom price tag, stamped concrete may be the perfect option for you. 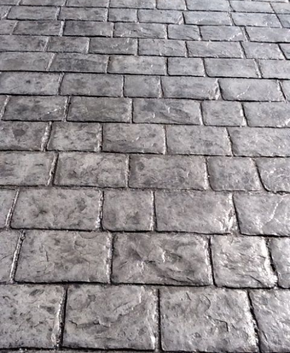 Our stamping technique can replicate the appearance of various types of natural or synthetic paving materials without the high costs or high maintenance that often accompanies them. Our cement contractors will be happy to work with you to design and execute the perfect concrete patio or concrete driveway for your home. Just let us know what you have in mind and we will present you with a wide range of selections and options you can choose from to recreate the look you want. 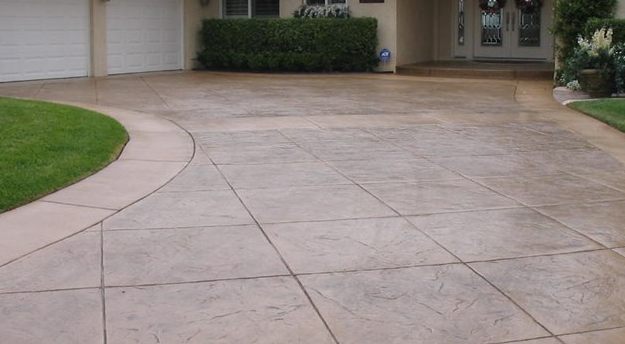 When it comes to stamped and decorative concrete finishes, we are among the best concrete companies in the area. We have been providing concrete pouring, stamping, polishing, finishing and concrete crack repair for many years, and our team has the experience and expertise to create beautiful works of art that will enhance the beauty and curb appeal of your home for an affordable cost. 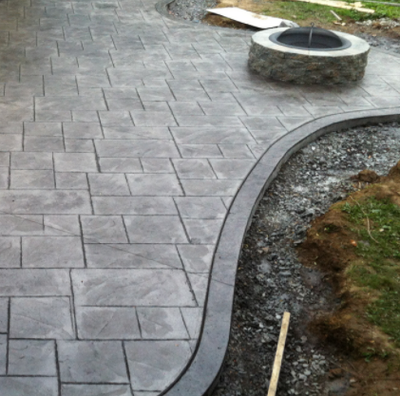 Contact us for professional concrete services and custom stamped concrete designs. 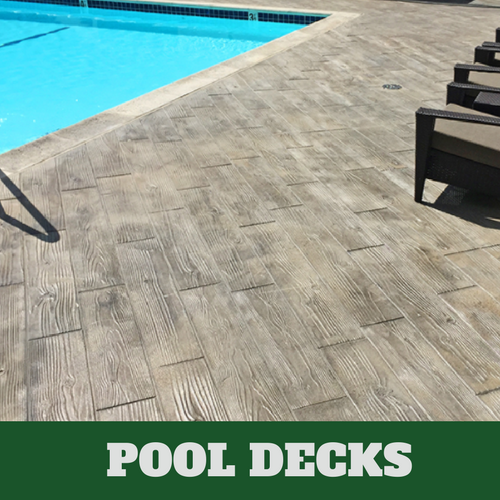 We fuse beauty and practicality together to bring you stunning driveways, patios, pool decks, flooring, and more!